Medical marijuana on Monday. This is really happening. Julia started taking anti-seizure medication when she was seven months old following her first seizure and diagnosis of Infantile Spasms. In the seven years since then she has tried 13 different pharmaceuticals and various combinations of those 13 different drugs to hold the seizures at bay. I am not an expert on medical marijuana. If you have watched any of the CNN specials you know about as much as I do. I am an expert on Julia though, and what I know is that these pharmaceuticals are hard on her. Yes, in many cases they have done their job, they have controlled her seizures - and for that we are blessed. But at a cost. They have delayed her development, they make her clumsy and agitated, and we really don't know what they are actually doing to her little body now and in the long run. As much as the medical world would like you to believe the drugs they are prescribing our kids are safe the reality is we don't really know. There are no clinical trials for seven month old babies taking varying cocktails of anti-seizure medication for seven plus years... that data doesn't exist. So as parents, the only true experts on our kids, we do the best we can. And right now, in this particular case, that means giving Julia marijuana. Most of the families who have preceded us in this decision to try medical marijuana have done so because other drugs have not worked and their child's seizures have continued uncontrolled, hundreds a day - it's no exaggeration. In that desperate place you will try anything, literally anything - including moving your family across the country to Colorado, knowing you won't be able to leave once you start this drug - but you don't care, because when you watch your child seizing the only thing that matters to you is making it stop. We are in a slightly different situation than most of the families I just described. First, we already live in Colorado. We don't have to uproot and move to try this drug. We are here and it is a fairly easy option to pursue. 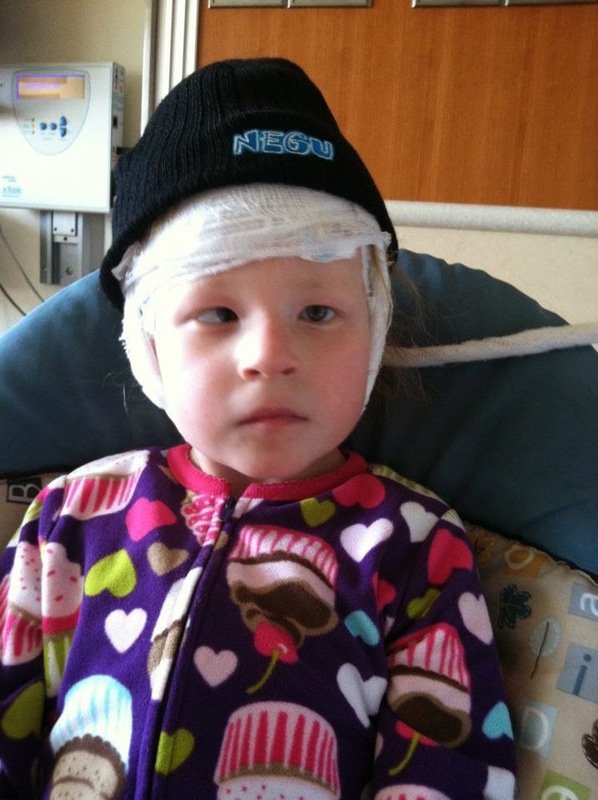 Second, Julia's seizures technically are under control with pharmaceuticals. When she is on a medication, specifically Keppra, we don't see seizures. Last fall she had a long stretch without seizures so we decided to wean her off of all medication due to our concern for what it was doing to her body. It was great to see her off all meds - her development flourished and her agitation went down - but after two months the seizures returned and we realized she will have to be on something to help hold them back. We temporarily re-started the medication she was formerly on (Keppra) and right away saw her agitation and frustration increase. We decided now is the time for medical marijuana. So rather than doing this because nothing else works, we are doing this because we want to see if this works BETTER for her. Could this be more than just a last ditch effort of desperation and instead just be a really good treatment option for us to explore? I'm thankful we have the opportunity to do this - I am hopeful we can be a part of leading the way for more families to have this as an option for their loved ones. When we've talked about this decision with family and friends, we have received 99.9% positive responses. 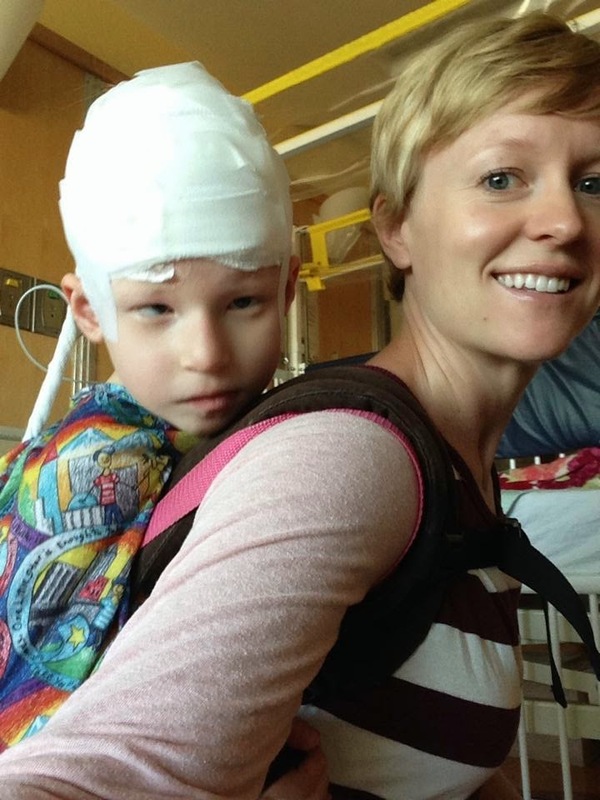 People are becoming more educated about marijuana as a treatment option for epilepsy. They are hearing the positive stories through the news and social media. People who know our story and have watched Julia battle epilepsy respond to us with an enthusiastic "of course!" "That makes sense!" "Why wouldn't you try it?" 3. Pot isn't any scarier than seizures or pharmaceuticals. To you 99.9% I say thank you! Thank you for supporting us and other families in trying to find better and safer options for our kids. 1. Has marijuana been researched? Funny you would ask about research. Have you also asked about the research on a 7 month old taking multiple anti-seizure medications? Have you asked about the research on a 13 month old taking the cocktail of keppra, topomax, and sabril? How about keppra, zonegran, and banzel? Keppra, valium, prednisone? What does the research say about those combos neurologists put our kids on? What does the research tell us about the long term effects of being on 13 different anti-seizure meds in the first seven years of life? Nothing. The research says nothing. It's a bit of a crap shoot to be honest. Are you really concerned about research or are you just trying to block us? Because if you really care - then join our cause and become an advocate for more research to be done on the effectiveness of medical marijuana and epilepsy. Start a movement, raise money, write your congressmen -you could be a hero!!! 2. Doesn't marijuana slow down the brain? Well, that's kind of exactly the point. Do you know what a seizure is? It's a bunch of neurons in the brain pulsing too fast. Do you know what anti-seizure medicine does? It slows down the brain. So naturally any type of treatment for a brain with neurons pulsing too fast would be to slow down the neurons in the brain that are pulsing too fast. Brilliant! The balancing act comes from trying to slow down the brain enough to avoid seizing but not so much that it creates a zombie child. If what you are actually asking me is am I worried about what this drug could do to her in general? Then yes. Of course yes. And actually the question is insulting. I'm her mom, I worry about everything. I worry about her lips when they are dry, I worry about the fingernails she won't let me trim. I worry about wrinkles in her socks, wet diapers giving her a rash at night, and milk giving her gas pains. I worry about everything. Most of all lately though, I worry about her dying during a seizure. So yes, I am worried about starting a new medication - but welcome to parenthood where every decision you make haunts you because you love your kid so flippin' much. 3. I wouldn't take it. Great, you don't have to! But don't vote against it - you not wanting to take it isn't an excuse for you to block other people from having that option. That's just mean. One day it could be you or someone you love asking for the support of the community so you can have access to a potentially life-saving treatment - you won't like people like yourself very much when that day comes. 4. I don't think teenagers should be smoking pot. Great, neither do I. But that's a different conversation now, isn't it? And if you can't see that it is a different conversation then I'm not sure I can help you. 5. I don't want marijuana to be legalized in my state. Fine, but again, that's a different conversation isn't it? If you want to clump legalized together with medical treatment then you are being ignorant - which is your choice, but your ignorance does hurt others. You will keep voting against it because you think it is all the same. You will keep your arrogant mindset thinking it won't ever be you on the other side. SAFE? SAFE? Seriously you are asking me if this is SAFE? None of this is SAFE. We left the safety-zone seven years ago when she had her first seizure. Seizures aren't safe. Don't talk to me about safe, we don't have that luxury. I'm guessing the .01% won't even read this, but there you go anyway. That's what I have to say to the naysayers, it felt good to get that off my chest! Back to the 99.9% of support out there - thank you for being with us on this latest phase of our journey. Your support means so much. When I think about it we have so much to be thankful for right now. Thank you God for Colorado. Thank you God for voters who voted to approve this treatment option. Thank you God for politicians I'm pretty sure I didn't even vote for who have made this a possibility for Jules. Thank you God for this little green plant you created that is changing lives. Medical marijuana on Monday - here we go. Thank you for sharing, my daughter has a seizure disorder and we've used Keppra also. I look forward to reading more about how it works for you. Thank you for reading - I'm going to try to post updates on the blog as time goes on! Best wishes for your daughter! Dr Azuka have cure for any types of disease blows, call or Whats App +2348132777335. I hope the lack of followup means things are going well and you are busy having a life, and not that things are going badly and you're swamped dealing with crises. Prayers either way! I wrote that at about 3 weeks in, we are 5 weeks in now and things are still holding steady - she had a spike in seizures this past weekend but she had the flu, so there was a reason! Thanks so much for taking the time to read and comment - that means so much!!! My heart goes out to you and your family and especially Julia.. Thankful that you live in a place where this treatment is available ..hope for positive results .. I was prescribed Topomax as a possible preventer for migraine. I had every side effect listed on the packet. I thought I was going insane! I genuinely thought that my family would have me committed. Topomax is now listed on all my medical records as a drug that is never to be given to me again. The thought of a little child being on this plus other drugs is horrendous. I am grateful for you and Julia that you live where you do. Good luck. Exactly the same experience for me. Wound up in the hospital. Horrible stuff. How is Julia now, after treatment? I saw a show on on dateline about this and it said this treatment has helped kids that nothing else will it takes the place of a lot of med. And made their lives almost normal.I think God has a use for all things he puts on this earth and I think this is what it was meant for. I hope this helps Julia! My daughter started having seizures in 2008 and she was diagnosed later that year of epilepsy. We tried all the medications, drugs and therapy but it continued and she felt her end has come because she had seizure in front of the whole class this really made her angry, frustrated we usually used injections to keep her normal again and this do nor normally last long. All drugs failed and there was no improvement on her condition. A church member gave me Dr Humphrey's contact and told me how he helped her neighbour using his medicine. I got the medicine and used it and it was really good, since then he has improved and the seizures are gone. If you need to contact him just reach him directly on josephalberteo@gmail.com for advise and for the medicine. It was January 2014. I was having major pain in my abdomen for months, I was to start a new job and was very excited about it. My job required me to work for 8hours of 24hours per day. On my second week of work, I began my cycle. I could tell right away this period was different, it started out really bad. One week went by and it kept getting worse and more heavy. In March, I received a diagnosis and was scheduled for surgery at the end of that month. On April 3, I had a myomectomy, removal of my Fibroids, That was a very difficult surgery which left me in excruciating pain, I developed complications with my breathing after surgery. After a year there was nothing to show as the fibroid kept growing back. But thankfully I’ve heard of Dr. Leonard's Herbal Medicine and decided to give it a trier to my surprise, I started to experience some changes within 3weeks of taking his medicine as my menstrual cycle was still a bit heavy but the color was lighter than usual, clots were moderate. I met with my doctor last week. We discussed the results from my fibroids and he didn't find any. You can contact Doc. at drleonard288@gmail.com.